Sewer Pipe Location | Select Trenchless Pipelines, Inc. The plumbing pipes in your home and business are conveniently hidden away underground or in your walls and ceilings. And that’s a good thing. Except when you want to add an extra fixture or your are thinking about re-modeling and want to know if a pipe is near-by and if you have an existing problem with a pipe and want to know where the pipe is without guessing. Often, knowing the exact location of the pipes is the first step in diagnosing a problem. In the past hidden pipes were found using the “best guess” method, often resulting in needless destruction to the home and a lot of wasted time. Today we use a wide variety of pipe locator technologies to find hidden pipes such as ground-penetrating radar, radiodetection, infrared and X-rays. Radio Detection is a method of locating pipes by inducing a radio signal into the subject pipe. This is done by either directly contacting the pipe with a transmitter or by an indirect induction method via a broadcast coil mounted on the surface. Once the signal is induced into the pipe, we are then able to map the pipe’s path with a hand-held receiving antenna on the surface. 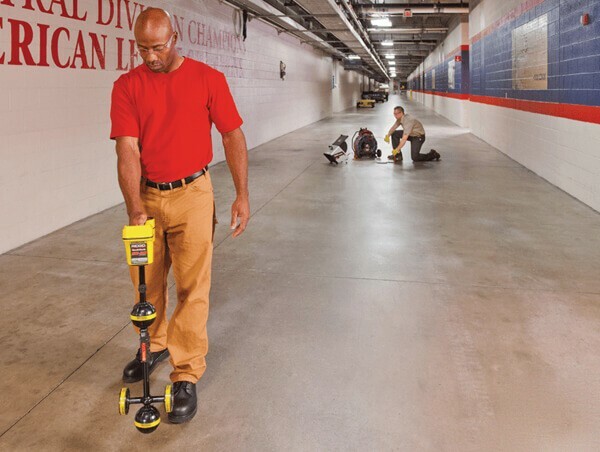 This is a quick and efficient way to locate metal pipes hidden underground or in walls. For non-metal pipes we place a small radio-transmitting probe into the pipe and follow along topside with the receiver as the probe is pulled, pushed or flushed down the pipeline. 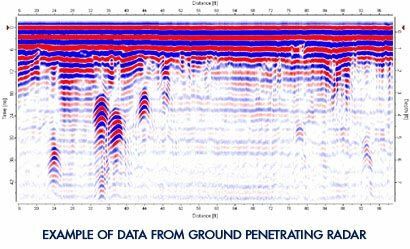 Ground-penetrating radar (GPR) will locate pipes below the surface, under reinforced concrete, through reinforced concrete walls, under asphalt and sidewalks. 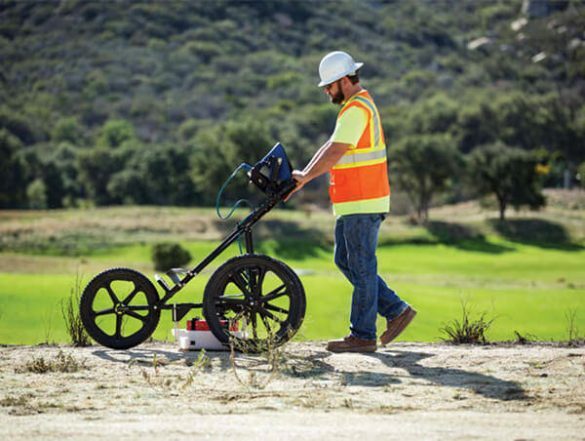 GPR works in a fast and reliable manner. It is also very safe as it uses no radiation. It is often used to augment our other locating techniques. A unique feature of the radar is that under some conditions, it can locate trenches where lines were buried as well as old building foundations and abandoned storage tanks.